Cortina Women's Bicycles shop the largest and most affordable! 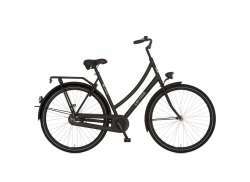 Buying a Cortina Women's Bicycle online? Hollandbikeshop.com is the online shop for all your Cortina Women's Bicycles. Cycling is fashion with Cortina. Therefore, a Cortina bike is stylish, elegant and above all very beautiful. A bicycle is more than just a convenient means of transportation, it is an extension of who you are. In our extensive Cortina Bicycle range at Hollandbikeshop.com you'll find the Cortina Women's Bicycle that suits you: the U1, U4, U5, Azero, Chrono, Crush, Tweed, Roots, Speed, Lief! Teen or Lief! Marit. These women's bicycles are available with coaster brake or hand brake, with or without luggage carrier, with or without front carrier, and in many beautiful colors. 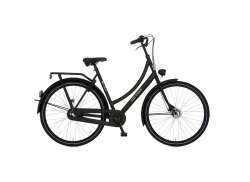 Hollandbikeshop.com is dealer in Cortina Women's Bicycles and has a large and affordable range. We also often have Cortina Women's Bicycles on sale or in our outlet, so keep an eye on our sale button. The largest and most affordable Cortina Women's Bicycle online bicycle shop!